Home » India » Andaman Or Lakshadweep? Which Is The Best Indian Island Destination? Andaman or Lakshadweep? Which is a better destination to travel? Well, this is a common question that comes to the mind of people looking to travel to island destination in India. Andaman & Nicobar Islands & Lakshadweep are both beautiful islands and unique in their own way. And we believe that no two destinations are the same, and comparing any would not do justice to each place. Andaman & Nicobar islands are one of the most exotic destinations in India for tourists. With its white sand beaches, excellent landscapes, gorgeous resorts and plenty of water sports to indulge in, Andaman is a favorite among the honeymoon-couples too. Islands: What makes Andaman an exotic destination are its various gorgeous islands. The islands of Havelock, which consists of popular islands like Neil Island is a great place for water activities. Also little away from Port Blair are Ross Island & Smith Islands. You can witness the amazing sea life in the sea-under walk that you can do in North Bay Island. Also, don’t forget to visit Jolly Buoy Islands located at the Mahatma Gandhi Marine National Park. Trekking: It may come as a surprise, but Andaman is a good place for trekking in the rugged forests which are secluded, dense and picturesque. A trek to Mount Harriot from Madhubhan is a must-do thing if you love hiking. This long journey of more than 15km takes you through some of Andaman’s most splendid valleys and mountains. Also, Diglipu is nature’s wonder, which is home to natural Limestone Caves and Turtle Nesting Point. Go to Bird Island or Chidiya Tapu for more nature and bird watching. Museums: Andaman has a marine museum as well as an anthropological museum, which is both unique and interesting. 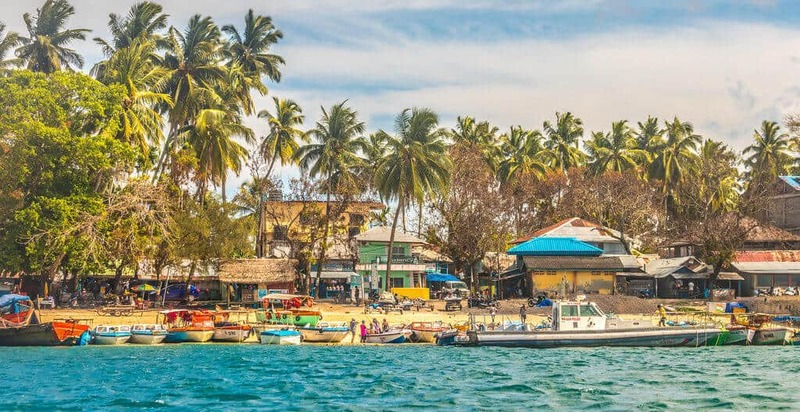 Andaman and Nicobar islands can get expensive during the peak season that lasts from October to January, which is also the best time to visit the island. So plan ahead if Andaman is your choice so that you can save some money on flights. 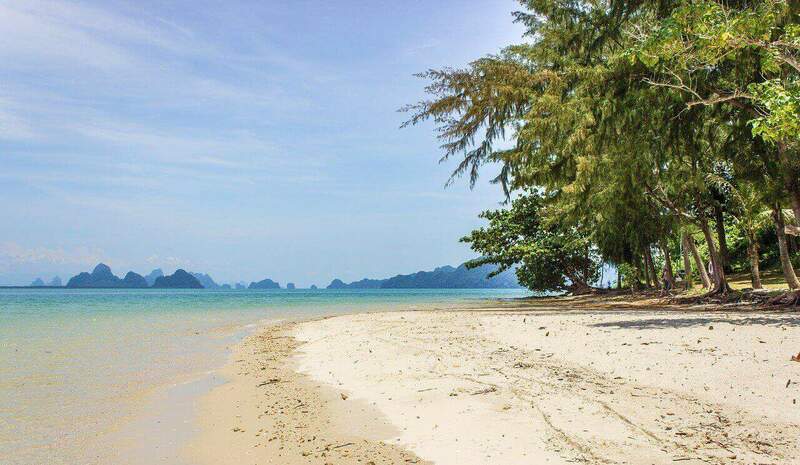 You can have crystal clear beaches like this for yourself totally! Coming to Lakshadweep Islands, unlike Andaman, only a small portion of the island is accessible to the tourists. Which means that there are fewer places of interest and limited area to enjoy a holiday. On the brighter side, Lakshadweep is less crowded, has fantastic islands and you feel like you have all the place for yourself. 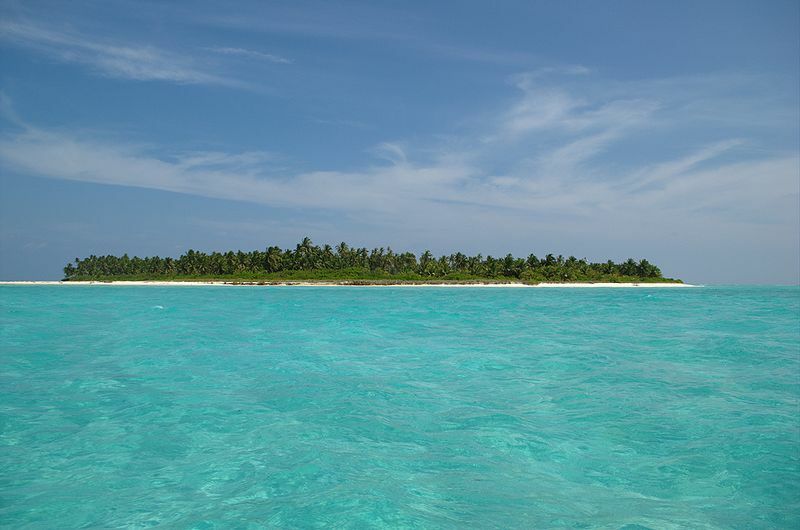 Islands: Bangaram Island is the most popular island in Lakshadweep, and is also the only place where liquor is available. The other islands home to beautiful white sand, turquoise beaches are Kavaratti for the marine museum, Andretti island for its stunning beaches and adventure. The tiny Kadmat Island, which is just 8km long, Kalpeni island known for its spectacular views and rich coral life. The main island of Lakshadweep itself, which is a scuba-diving hub. As you see, both the islands have these similarities – Both are characterised by pretty islands and offer plenty of water adventures. Both are home to beautiful, less crowded, white sand beaches and rich in nature. Andaman slightly has a better connectivity and comforts, whereas Lakshadweep is not full-fledged. And during the peak season, if you don’t book your accommodation in advance, you might have to board ships close to Kochi to spend nights. Both islands get thousands of visitors each year from October to January. Lakshadweep is less visited of the two but has been slowly gaining travellers for its natural beauty. Read this guide for details on what you can do in Lakshadweep. Find out our answer here to know what is the ideal time to visit Andaman. Also for any travel planning and easy travel itineraries, download Talk Travel, a free mobile app that will let you call & talk with travel experts from across the world. You don’t have to worry about planning or things to do. All you have to do is ask the local experts! Go ahead and click on the links to download on your Android and iOS mobiles.